‘Pillar Posts’ are round-ups and explanations of key ideas and texts that have been and continue to be discussed at HogwartsProfessor. With more than two thousand posts in our archives spread out over twelve years of blogging, we need an easily accessible file where serious readers can find — without hours of hunting — the articles they want to read. These Pillar Posts will find a home on the left sidebar of the HogwartsProfessor homepage and I’ll update them regularly. Today I want to pull together what we’ve written here about the first film in the Fantastic Beasts franchise since its release in 2016. It may seem irrelevant to revisit the first movie now that we have Crimes of Grindelwald but Fantastic Beasts 1: Newt Goes to New York will almost certainly be reflected in the third film and the finale, Beasts 5. As we’ve seen in Harry Potter and the Cormoran Strike mysteries, Rowling writes her series in rings, a structure that features an axis bisecting the story circle that connects first-middle-and-final parts (for a five film package, that means 1-3-5). I focused most of my attention in 2016 on trying to come to something approximating Rowling’s final “shhoting script,” something that had to be recreated from the Heyman-Yates mish-mash of a movie, the published screenplay, and the many deleted scenes. As Rowling said Steve Kloves told her, the agony of making a movie out of a Rowling novel or script is “fitting the woman to the dress,” i.e., forcing the natural figure into the mechanical formula of blockbuster movies. I’ll let you judge how successful I was in sorting out and pasting in the scenes that we know were not included in the released movie. Text-discovery was my focus but there was a lot more going on, from the MuggleNet Academia and Reading, Writing, Rowling podcasts to discussion of the movie’s ring structure and Christian content, not to mention the posts by Beatrice Groves, Wayne Stauffer, and HogwartsProfessor faculty Louise Freeman and Elizabeth Baird-Hardy. You can find it — close to forty posts! — all neatly organized just after the jump. As with all of the Pillar Posts, please let me know if a link is not working or if I have inadvertently left out an article. Enjoy! 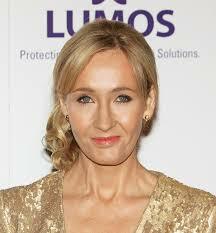 Part 1: J. K. Rowling, Screenwriter — Who is Working for Whom? Interpretation and Speculation: Ring Structure, Christian Content, Elder Wand, Etc. On the Story Structure of Fantastic Beasts: Is It a Ring? 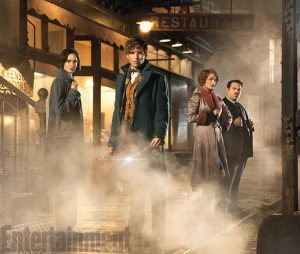 Nicolas Flamel to Appear in the Sequel? Don’t You Believe It! Is an Obscurus the Opposite of a Patronus? 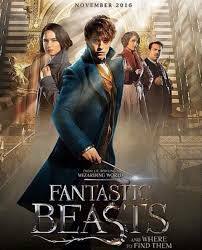 Could Fantastic Beasts be Doctor Dolittle with a Wand? Thanksgiving Thoughts on Terrific Treats from Fantastic Beasts! Today’s entry in the Pillar Post Project is Crimes of Grindelwald. Believe it or not, there are already fifty HogwartsProfessor posts on the second Fantastic Beasts film. Below you’ll find them all in one place and sorted into nine categories. Is ‘Nagini’ the Name of the Maledictus in Crimes of Grindelwald? Nagini Gaunt? Crimes of Grindelwald Group Portrait: Is It a Meaningful Picture of the Story? 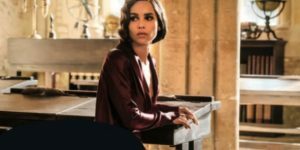 Box 2703: A Pointer to Alchemy in Crimes of Grindelwald? Fantastastic Beasts Cast Visits Alabama? 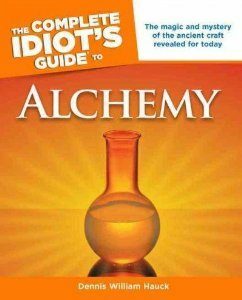 The first post to go up was a collection of Literary Alchemy links. Next came the Pillar listing the rapidly growing set of posts on the Crimes of Grindelwald movie. 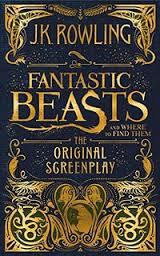 Today I want to pull together what we’ve written here about the first film in the Fantastic Beasts franchise since its release in 2016. One of the things I dislike about the Kindle is I don’t know how to organize the novels, plays, and works of non-fiction on the device so I don’t have to scroll through every eBook I ‘own’ to find the one I want. No doubt there is a way to catalog or sort the books into virtual shelves or folders but I don’t know it (and cannot find an illustration of how to do it easily, say, via a John-proof YouTube video). 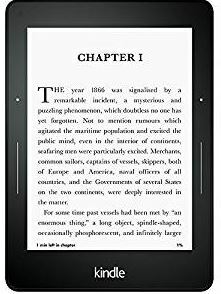 I rarely use the Kindle, consequently, even when I travel and it would be a great convenience. A WordPress weblog like HogwartsProfessor presents something of a similar challenge. It is a miraculous means of communicating thoughts to a large audience at a cost of close to nothing. But. Once a site has more than a few posts on it, even with a search device readily available to foster hunts for specific topics, it is no small thing for even the most serious reader to find all the relevant posts in a site’s archives, not to mention being able to tell which are the most important, except by sorting and reading for hours. Which just doesn’t happen. The average first time guest at this site is here only for seconds. Requiring attention for hours for that reader to find the relevant posts he or she wants to find and read means quite simply that they will not be found and may as well, frankly, not have been written and posted. There are nigh on 2,000 posts on HogwartsProfessor. Without an easily accessed file system on the home page, a system cued to essential subjects, only 1 in 10,000 visitors will be able to find the posts they want for academic research into what has already been published or for personal benefit. Last week I began the process of sorting and filing HogwartsProfessor articles into what Yaro Starak calls ‘Pillar Posts’ with a collection of urls to the things I and other Potter Pundits have written about literary alchemy in the ten years we’ve been online. For starters, these Pillar Posts will only be link lists that have been sorted into categories for easier navigation (let me know if there are subjects you want included in this project; I have twenty Pillars on my to-do list). The goal is to have proper write-ups of take-away points on the relevant subjects, something like a HogPro wiki. 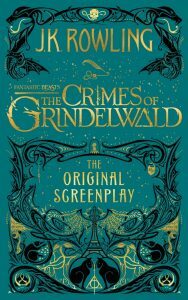 Today’s entry in the Pillar Post Project is Crimes of Grindelwald. Believe it or not, there are already fifty HogwartsProfessor posts on the second Fantastic Beasts film. After the jump, you’ll find them all in one place and sorted into nine categories. There will soon be a sidebar on the left hand side of the page where the twenty Pillars will be prominently displayed. Thank you in advance for your patience and support during this project! Sharing your ideas would be a simultaneous grace and blessing. 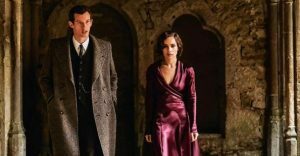 MSNBC’s review of Crimes of Grindelwald by Ani Bundel, ‘Harry Potter franchise’s new ‘Fantastic Beasts’ sequel should not have been written by J.K. Rowling,’ has the sub-heading “Nominally about the adventures of Newt Scamander and his American pals in Paris, the film is thwarted by its many subplots and cameos.” Oddly enough, an aside in the review suggests that Bundel saw a different cut than the one released to theaters — and that the version he saw, because it included a deleted scene of Theseus speaking with Leta about Newt and Dumbledore, has an easier to grasp subplot than the one we saw. I highlight that last sentence because I don’t remember this “worry” in my two viewings of the film or my several readings of the published-not-original screenplay. We do know, though, that one of the many deleted scenes from the shooting script, the screenplay as written by Rowling and filmed by Yates, includes a conversation between Theseus and Leta at Hogwarts. What they were discussing, of course, we have not been told. Did MSNBC’s Bundel see this scene in a preliminary cut of the film? Has he told us they were discussing their concern that Albus’ “closer than brothers” relationship with Gellert might mean he was manipulating Newt to advance Grindelwald’s cause? If so, that would make two mysteries dissolve. We haven’t known why Leta was so hostile in her meeting with Dumbledore at Hogwarts, in which she is almost petulant with the DADA teacher everyone seems to admire. That conversation with Theseus, if they shared concerns about a turncoat Dumbledore would make her behavior logical. She loves Newt and Theseus and thinks Albus a threat of sorts to them both. 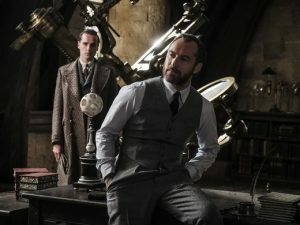 Albus tells Theseus point blank not to go to the Grindelwald secret meeting if Travers orders him to. He all but begs him, saying, “If you ever trusted me…” Theseus blows him off and goes to the meeting when Travers orders him to, however determined he is not to play into Grindelwald’s trap. Dumbledore knew about the meeting and the plan to have Theseus blow it up as Grindelwald wants via legilimency and seeing Travers’ intent. Albus sees Theseus’ distrust the same way. We. of course, not being Legilimenses and not having the deleted scene with Leta and Theseus discussing Dumbledore as a possible agent of his best buddy Grindelwald, are clueless about what is going on — and left to lament the “many subplots” we cannot understand. Why Ani Bundel was upset, when she got to see at least one important scene explaining a subplot that we all missed, I have no idea. Click on the “leave a response” button up by the post title and let me know what you think. Did Bundel see an extra scene? Does that scene resolve mysteries the film has without it? Hat tip to Wayne for the link to the MSNBC review!